Jessica and Liam are possibly the sweetest couple I've ever met. They're just adorable - and it doesn't hurt that Liam has the BEST Irish accent. 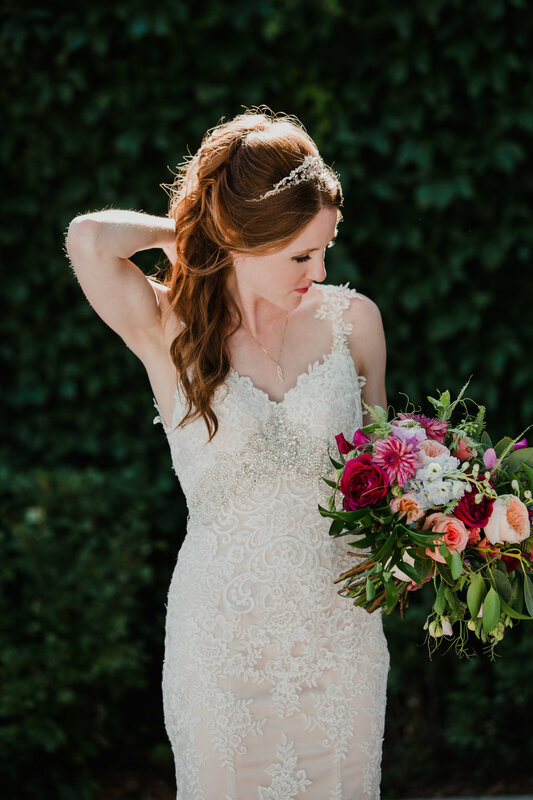 It was so much fun to be a part of their wedding (and you might recognize them from this styled shoot last year that they modelled for! ), specifically because Jess LOVES colour and really wanted to go for it - which, as you all know, makes my heart sing. 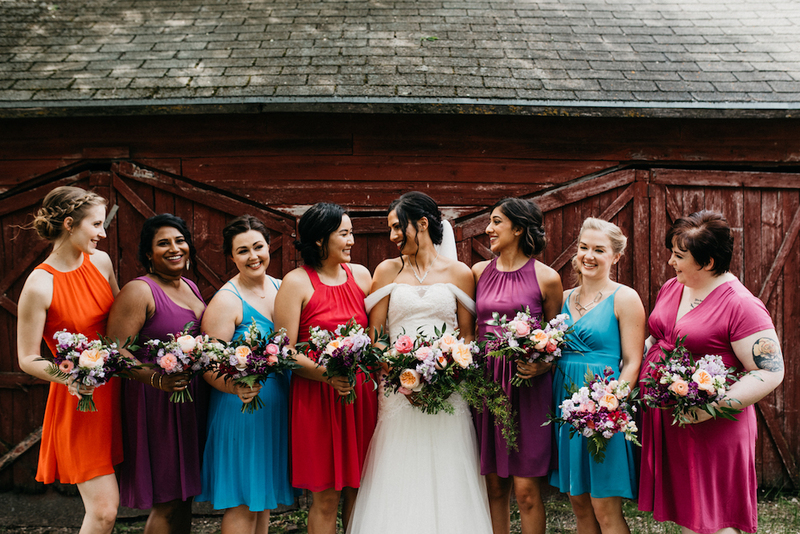 Their wedding planner, Amanda Douglas, did a great job of guiding them to choose a vibrant and beautiful combination of jewel tones that worked beautifully together. Bridal bouquet ingredients: peach Juliet roses, light and dark purple stock, coral ranunculus, magenta snapdragons with italian ruscus and sprengeri fern. We wanted to go with rich jewel tones, while adding in a touch of vibrancy to bring more life to it. 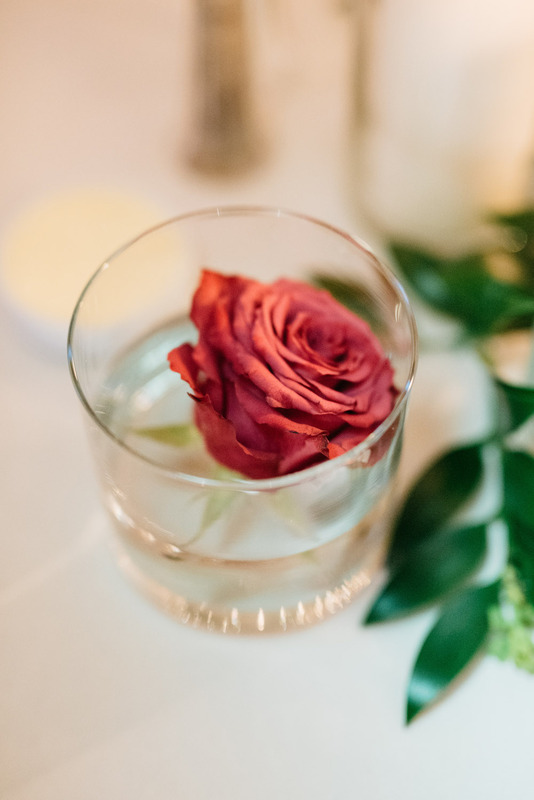 I can't tell you how totally perfect those garden roses were! Can't quite deal with how awesome these textures and colours were!! 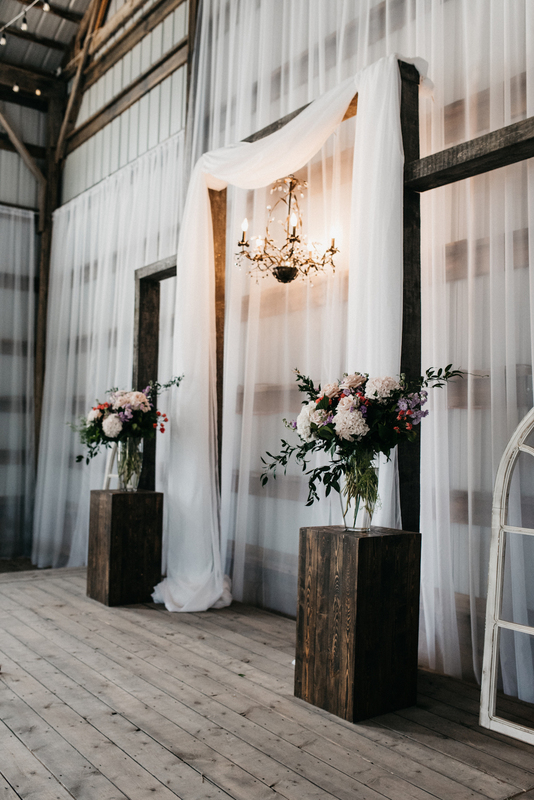 It's been a few years since I've been out at the Rustic Wedding Barn so the ceremony space was new to me. They have done a really great job in there! For the ceremony flowers, Jessica wanted to go a little more subtle so we toned down the colour. The reception was full of flowers, from the large piece we did on their head table to the colourful centrepieces on each guest table. 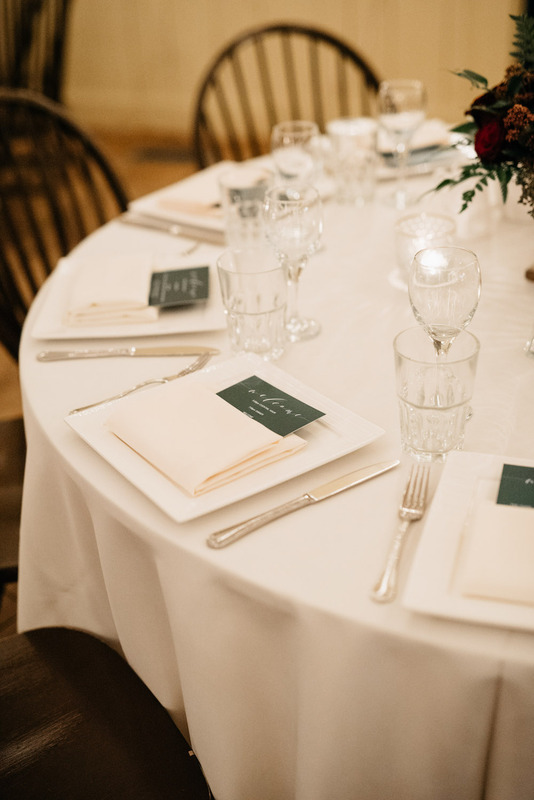 The champagne linens were a great, subtle base for the rest of the colour. 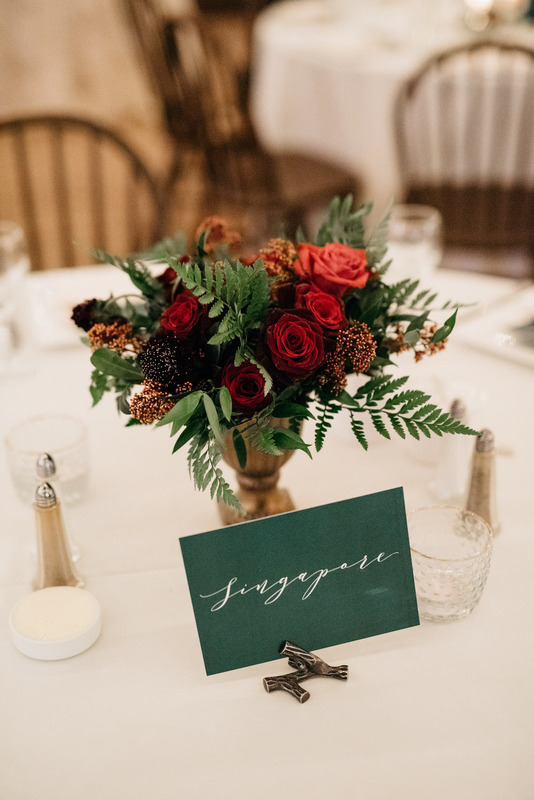 And in a space like this, I would always recommend keeping those centrepieces low to the table - with it being a longer, narrower space, I think that tall arrangements would feel too hectic in there. When we started planning their wedding flowers, Devon told me that her overall theme for her wedding to Lucas was "classy camping." Having never gone camping before (I know, so crazy), I was definitely intrigued. She had such fun ideas: a jewel tone colour palette, porcelain jugs for the centrepieces, and antique oil lamps for the candles. 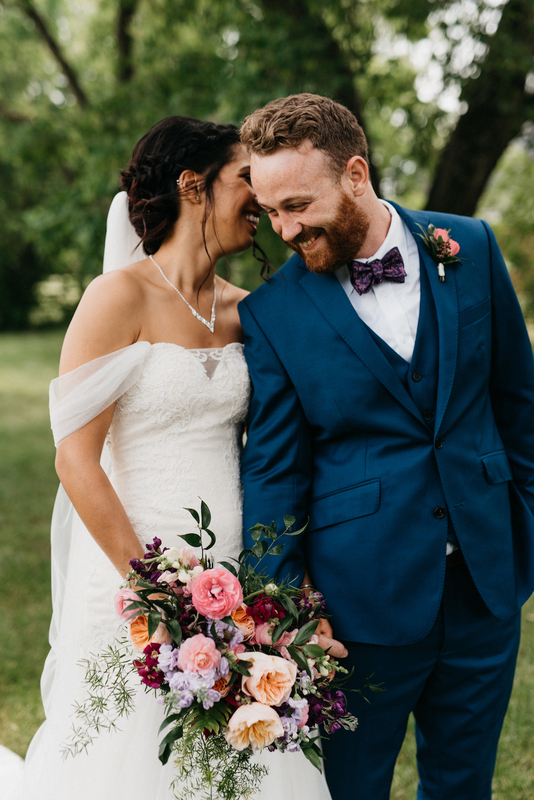 They wanted their wedding to feel comfortable but still full of colour and style, and I think Cielo's Garden was the absolute perfect choice for location. It was SO awesome to work with Aly from Victoria Anne Photography again. She's so fantastic! 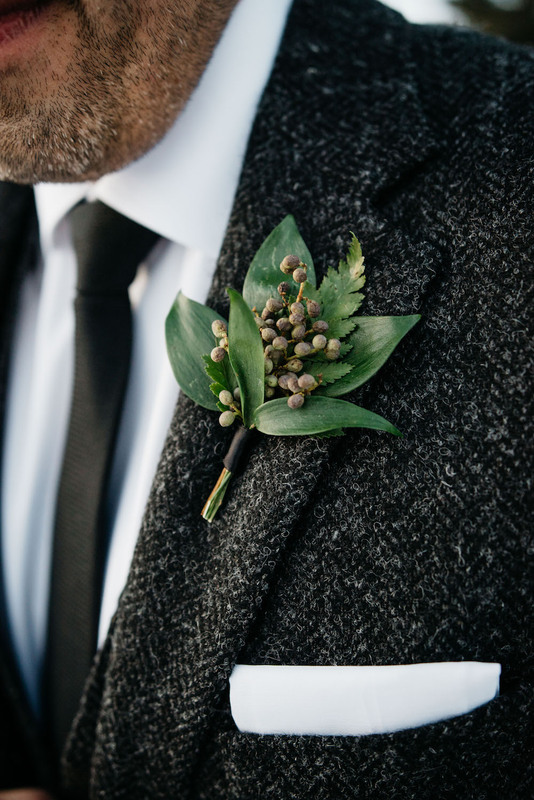 Bridal Bouquet Ingredients: Zinnias, dahlias, asters, gomphrena, solidago, eryngium, veronica, and lilies with lemon leaf and oak leaves. 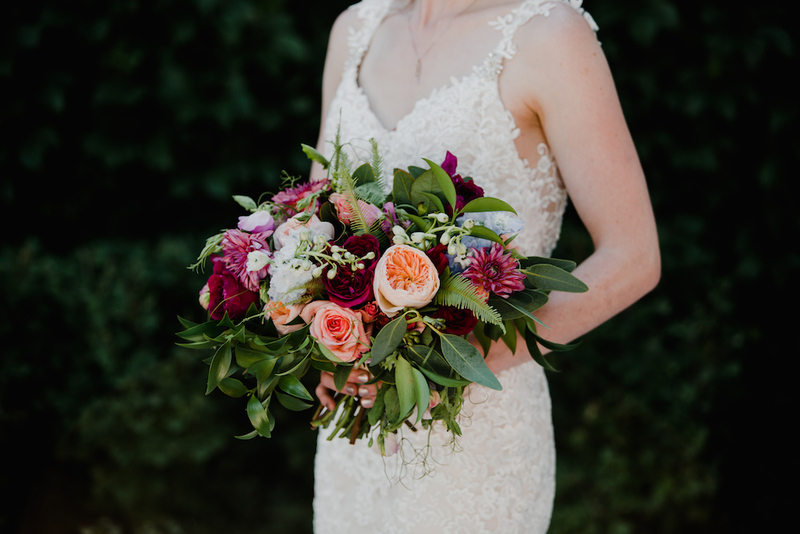 This wedding was in mid-September, and I got to use the last of the locally grown flowers! 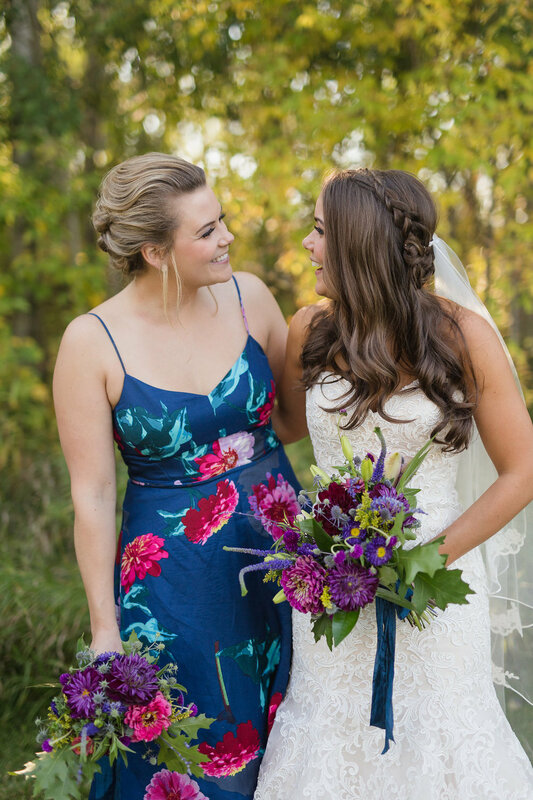 I'm not sure these bridesmaid dresses could be any more perfect! I absolutely loved the floral prints. 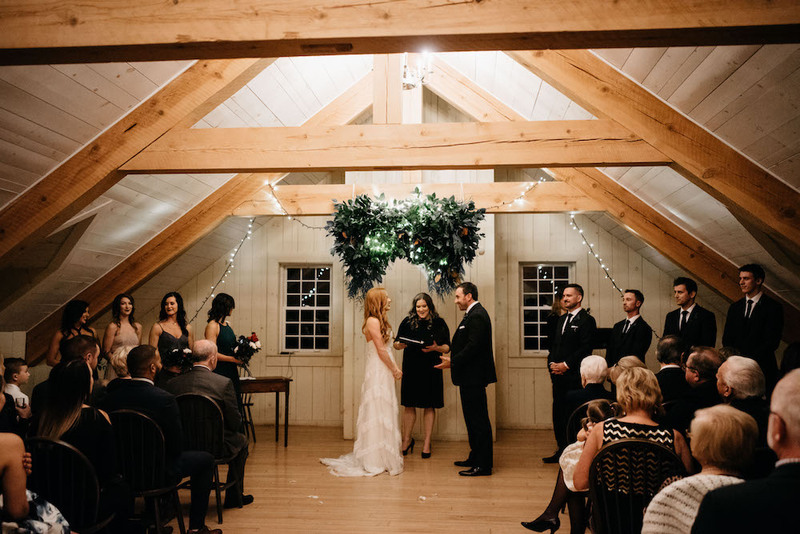 Devon designed the ceremony space, and I loved what she came up with. 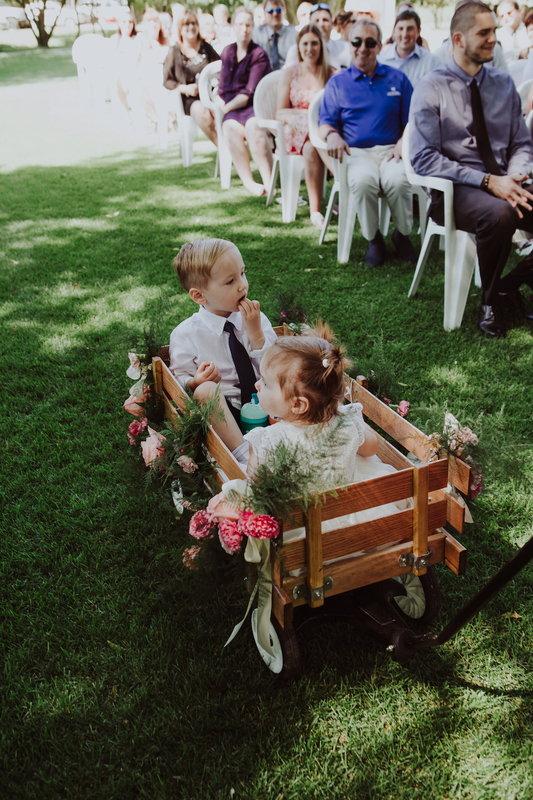 One of the things I love the most about Cielo's garden is that every wedding there is able to have a completely unique, personalized design plan. Devon definitely used this to her advantage, defining the space with a large rug and popping the floral centrepieces into the window sills. The couple's sweetheart table was another of my favourite designs from 2016. They brought in this antique wood table, just big enough for two, and set it with smoky grey acrylic chairs. I created a lush greenery garland, and added in a ton of jewel toned florals to make the table really pop. Doesn't it look fantastic? 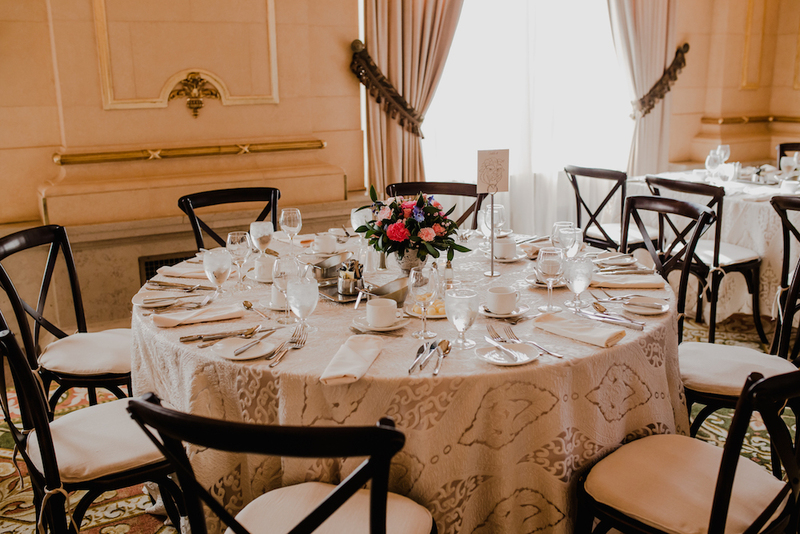 When the wedding couple is seated at a sweetheart table, that opens up the floor plan to some unique possibilities. 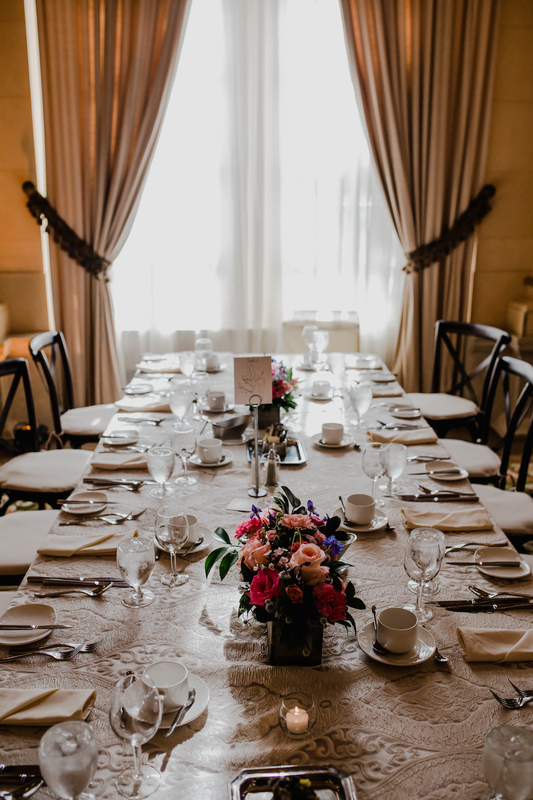 In this case, the bridal party was seated at two long tables perpendicular to the sweetheart table. I created two more greenery garlands here, but wanted to use different florals. Working with the same colours as the sweetheart table garland, I chose coral snap dragons and purple waxflower. 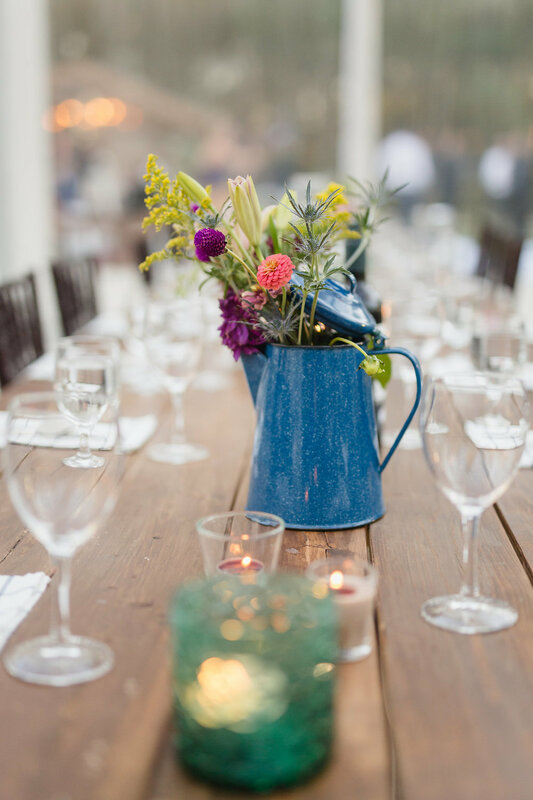 On the guest tables, we used all of the camping jugs and porcelain vessels that Devon and Lucas had collected, and filled them with wildflower-inspired arrangements. 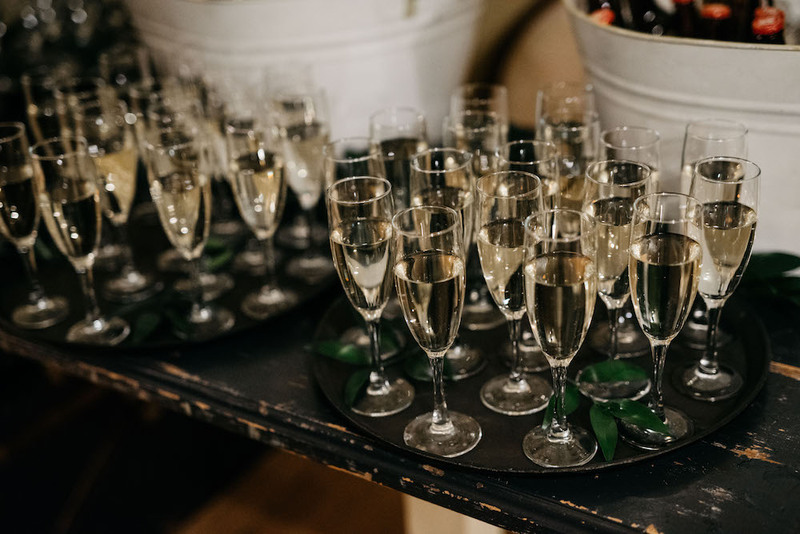 The tables were finished with emerald-tinted glass votives and antique glass oil lanterns. It came together beautifully! Check out this video trailer from their wedding by Baroncraft Productions!